The big elephant in the room is the human element of automation. I have alluded to my stance on that in the previous posts but I wanted to dedicate a whole article to that. We can classify automation based on the scope of its reach. The large-scale automation encompasses the whole roles or even whole industries. For example autonomous trucks will eventually automate away the job of a truck driver. I imagine there will only be truck drivers in the curiosity parks in the future. Much like lamplighters. 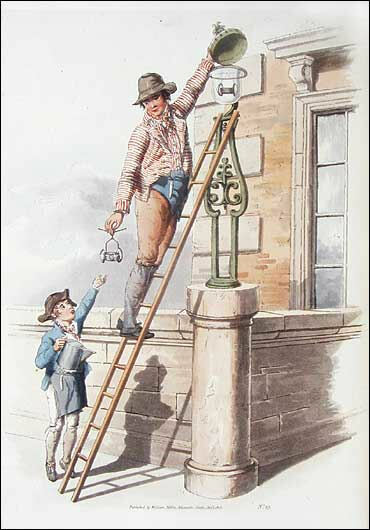 The profession of the lamplighters are a thing of the past. Then there is small-scale automation. The kind I am focusing on in the Area4 Improvement series. The repetitive, high volume tasks that people do every day. Things that are monotonous and just kill the soul. Like washing dishes or doing laundry. In most western societies dishwashers and washing machines are the norm. Those tasks have been automated away. It’s so natural we don’t even realise that until you don’t have it. The large scale automation, over time, has generally had a happy ending: As it has displaced jobs, it has created new ones. Some experts are beginning to worry that this time could be different, though. In the small-scale automation world, I think it’s always a positive step. We automate things that are mind-numbing. Tasks that make people quit. Have you ever jumped up from bed in the morning because today finally you will be rebalancing all the financial sheets and doing the taxes? By automating those rule-based, repetitive tasks we are able to free up a lot of time and lower the cognitive load. Think of all the time your employees will be able to put into creative thinking, rather than spending it on manually generating the same report every week.